Hello all Cyber@ditya's visitors... in this post I am sharing a brief info about GPRS with easy questions with answers .. Question 1:- What is GPRS ? Answer:- The General Packet Radio Service (GPRS) is a mobile data service available to mobile phone users. This is basically a service that allows the mobile subscriber to access data (such as accessing the internet) and transfer data (such as sending a picture message or downloading music) with their mobile phones. Q. How does GPRS work? Question 2:- How does GPRS work? Answer:- GPRS allows you to access the internet and transfer data (such as sending a picture or downloading music) with your mobile phone. Question3:- How will I access the GPRS service? Answer:- Once the service is available, you will be required to visit any of our Econet Shops to activate the service. Question4:- What kinds of devices are required for GPRS connectivity? • To be a member of the Econet family. • A mobile phone or computer that supports GPRS. • Your phone to be configured or enabled to use GPRS services. • Knowledge of how to use your specific model of mobile phone. Question5:-. What are the features of GPRS? • You can now use your mobile phone to send and receive emails. • Similar to text messaging but allows the two people sending and receiving text messages to see each others messages as they are being typed. • This is an advanced form of SMS text messaging allowing you to send picture images and sound. 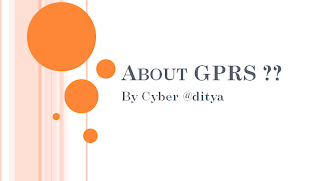 • GPRS allows large amounts of data to be sent over mobile networks at speeds three to four times greater than the standard dial up connection. • GPRS facilitates instant connections whereby information can be sent or received immediately as the need arises, subject to network coverage. No dial-up modem connection is necessary.